QUEBEC - Pierre Karl Peladeau is rejecting calls that he sell his controlling stake in Quebecor Inc. as he ponders a bid for the leadership of the Parti Quebecois. 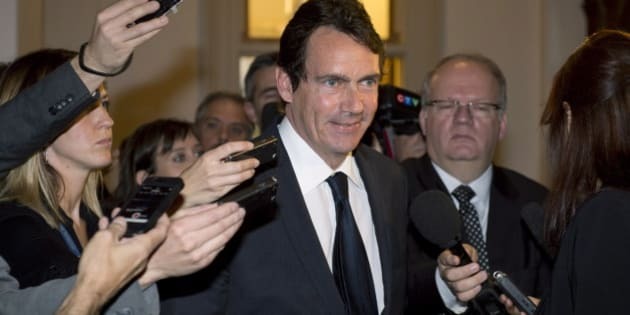 Peladeau did say Wednesday he would be willing to put his shares in the media conglomerate in a blind trust if he decides to run and is chosen leader next May. Selling them is out of the question, he said. Peladeau has been coming under pressure from political opponents as well as possible future leadership rivals to choose between his media empire and his political goals. The member of the national assembly for Saint-Jerome is the controlling shareholder of Quebecor (TSX:QBR.B), whose extensive media holdings in the province include the TVA television network, Le Journal de Montreal and the Videotron cable company. The media baron says he has not yet decided whether to run for the leadership, although he is considered the likely front-runner to succeed Pauline Marois. So far, nobody has entered the race that will culminate in the new leader becoming head of the official Opposition. Members of the legislature were expected to debate a motion later Wednesday aimed primarily at preventing Peladeau from keeping control of Quebecor. The motion is being presented by the Coalition for Quebec's Future, which is third in the legislature in terms of seats. Peladeau took aim at the "extreme partisanship" of Francois Legault's party. "Under the law, which I scrupulously respect, I do not have to choose between my decision to represent the constituents of my riding in the national assembly and keeping the heritage that my father, Pierre Peladeau, bequeathed to me," he told reporters in Quebec City. "Just as many other Quebecers did, I held him in great esteem and had huge respect for him. He was the perfect example of how Quebecers can be successful in business and assert themselves in the economic sphere. "For me, he was a source of phenomenal inspiration that I hope to pass along to my children so that, if they so desire, they can continue to pursue the economic emancipation of Quebecers." Peladeau also promised he would not meddle in the editorial decision-making process at any Quebecor-owned property. "At the right moment, I will make a declaration based on honour where I will make a solemn promise to never interfere in the editorial content of (Quebecor) media in any way whatsoever." 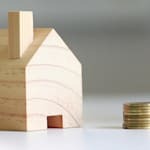 He also promised to continue his fight to make Quebec a country — a statement he made during last spring's election campaign that was widely regarded as damaging to the PQ's re-election hopes.